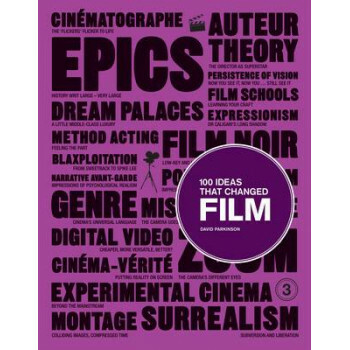 This inspiring book chronicles the most influential ideas that have shaped film since its inception. Entertaining and intelligent, it provides a concise history as well as being a fascinating resource to dip into. Arranged in a broadly chronological order to show the development of film, the ideas include innovative concepts, technologies, techniques and movements. From the silent eras masterpieces to today's blockbusters and art house movies, these highly illustrated pages are a chance to discover or rediscover films from five continents. The milestones that have given Hollywood a hegemony over world cinema are discussed, but so too are subjects as diverse as German Expressionism, auteur theory and Third Cinema. Key ideas such as continuity editing, genre and sound are also fully explored. Each idea is presented through informed text and arresting visuals paying homage to the mediums great classics. We learn why and how the ideas first evolved and what their impact has been up to the present day.